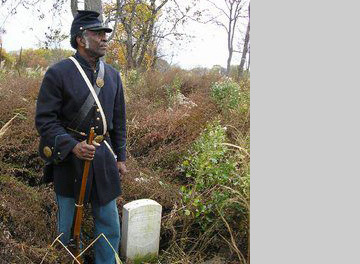 Bring an engaging living history presentation by master storyteller Willis Phelps to your school or community group. 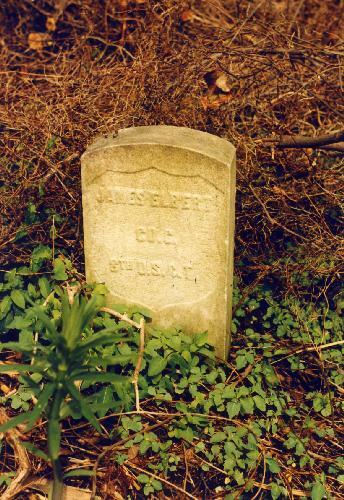 Mr. Phelps portrays Private James Elbert, a Civil War USCT soldier buried at Polktown’s African Union Church Cemetery. The presentation also includes a moderator who explains the history of these soldiers and the site of the history of the African Union Church Cemetery, providing context to groups of all ages. The presentation lasts approximately an hour and can be tailored to all ages, facilities, and group sizes. School presentations include links to pre-and post-presentation activities as well as relevance to state education standards. Come and See Our Program! Are you interested in presenting this program to your group? Fill out the form below and our program director will contact you to discuss our programs. When you are finished, answer the little math problem at the end of the form and press the Send button. Any other information or concerns?